There’s an ambitious, historic project underway on Chicago’s South Side, but the talk is all about the architect, Tiger Woods. 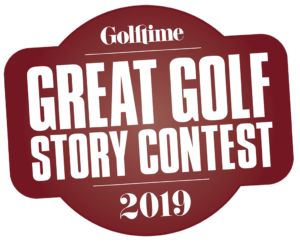 It has a big budget, even bigger buzz, and some seriously colossal names connected with it — including NBC commentator Mark Rolfing, President Barack Obama, and a fella named Woods, among others. 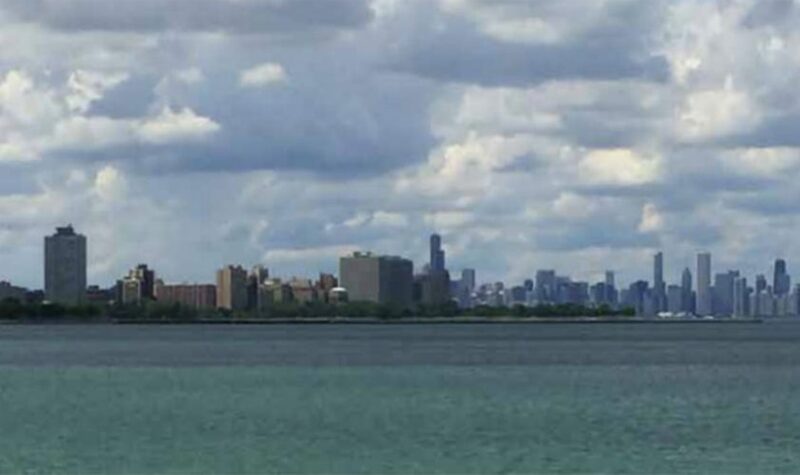 But what the South Shore and Jackson Park Golf Course Restoration Project has most of all, is the weight of some Windy City-sized expectations around its proverbial shoulders. The new course will offer four holes along the lake, rebuilding on the existing offerings from the South Shore and Jackson Park courses. 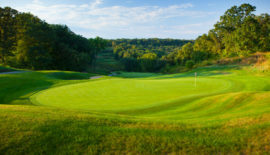 “We’re very excited about it, that’s one of the goals, to create an urban flagship, a youth-friendly golf hub, and change things in Chicago,” explained Brian Hogan, the longtime Chicagoan, co-founder and director of the Chicago Parks Golf Alliance, the group spearheading the $30+ million project. “These courses have been here since 1899 in Jackson Park, and 1907 in South Shore, but (the goal is to) really improve them in ways that are sustainable for generations to come and make them very youth-friendly, as well. 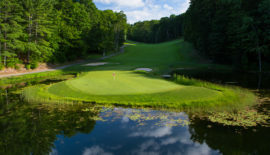 Woods’ TGR Design golf architecture company has been tapped to take the two historic lakeside courses on the city’s South Side (27 holes in total), and combine them into one championship track fit for the PGA Tour’s BMW Championship, youth clinics and everything in between. And while Tiger’s had his share of troubles recently (checking into a treatment facility for painkillers last month), the project hasn’t lost momentum. 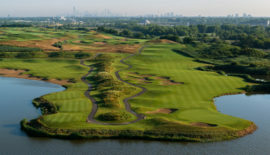 The current courses occupy lakefront land adjacent to the future home of the Barack Obama Presidential Center, and will be combined into a single 18-hole championship course, along with a short, family-friendly course and expansive teaching facility in partnership with The First Tee of Greater Chicago (see story on page 76). And while other golf architectural firms were considered, word has it Mr. Obama himself asked Tiger to be involved. Rolfing and Hogan have been working hard on outreach to the community, members of which worry that the course will become too costly for the average person. But the group plans to keep golf free for area kids, and affordable for the adults, as well. That’s the major impetus behind the project, Rolfing said — creating something special for the community. “During that day with him, Tiger must’ve said to me 10 times, ‘Where are all the kids? Where are they?’” Rolfing said. “It was a beautiful Thursday in August, and both courses were pretty empty. Tiger immediately saw a chance to make a difference. Given his background in the game, where he was denied access, and in situations where golf wasn’t maybe affordable. He lived the experience we’re trying to change in Chicago, to make sure there is access for everybody and affordable. We all know how that project turned out. But we’ll have to wait a while longer to see Woods’ wonder come to completion — the project is set for a 2020 opening. But with preliminary plans unveiled in June, it’s clear the course will have something for everyone. That includes, it seems, wide fairways and big greens, six sets of tees and even caddies (in partnership with the Western Golf Association) to help you on your round. 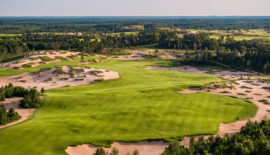 All that and more are planned for the 7,354-yard course (stretched out over a par-70 format), which will offer stunning views of Lake Michigan (including two par-3s on the water) as well as the friendly, parkland-style layout the courses have today. We’re betting when it’s all said and done, the question won’t be how can they have more fun, it’ll be how could they not? For more information, visit tgrdesign.tigerwoods.com or chicagoparksgolfalliance.org.